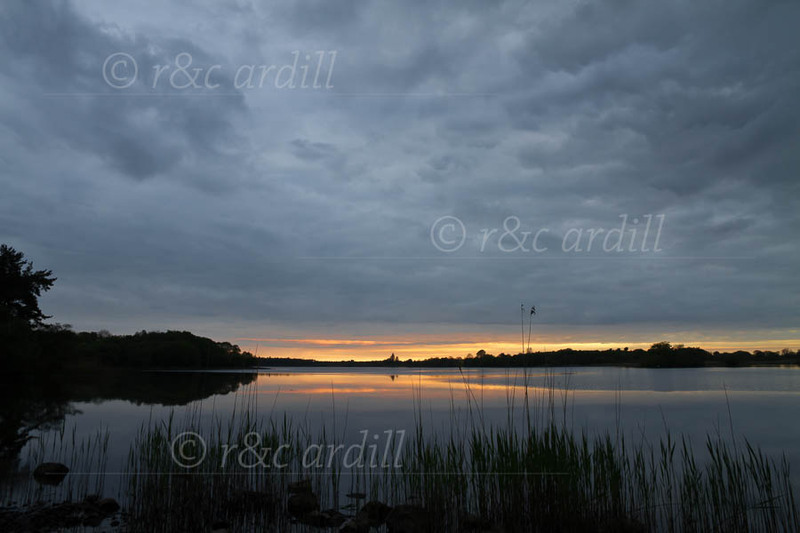 Photo of: Sunset over Doon Lough in East Clare. Doon Lough is a small lake but a lovely one nevertheless. The still evening gives a timeless feel to the view.